Are you in love with a piece of furniture that is way out of the budget? A friend of mine is drooling over the Restoration Hardware Kensington Leather sofa, so I went in search of Restoration Hardware Look a Like. It’s traditional and beautiful, but way more expensive than it should be (in my frugal opinion). 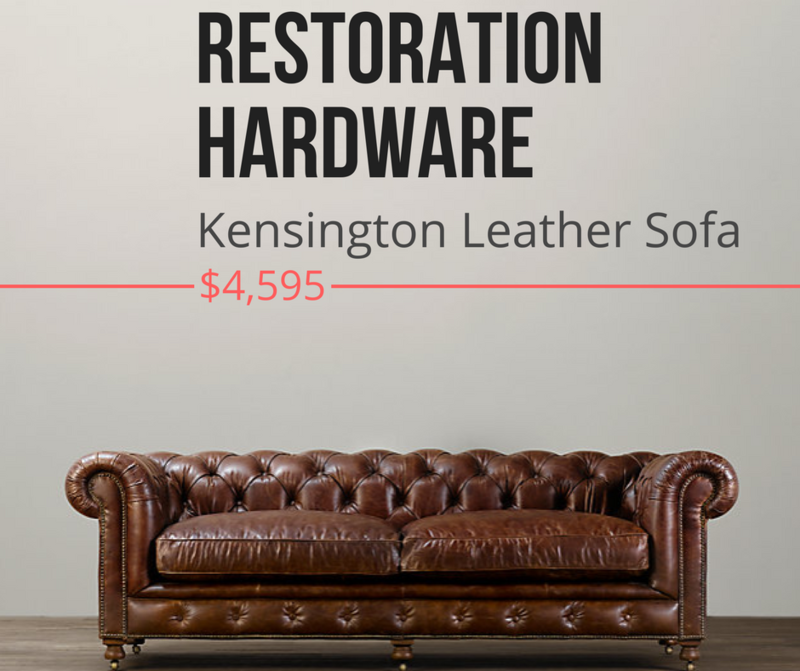 The cheapest version of the Kensington Leather Sofa at Restoration Hardware is $3,795 and it can keep going up depending on the fabric and depth you want. I would hope at this price it at least came with free shipping… it doesn’t. 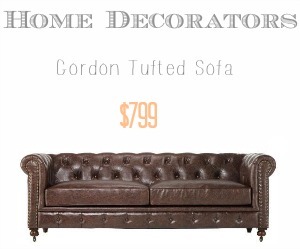 I found the Gordan Tufted Sofa from Home Decorators for a fraction of the price. Granted, it is 7 inches shorter and the materials are not exactly the same. The Gordon Tufted Sofa has fantastic reviews and you can buy it in 4 different colors. If leather isn’t your thing, it’s just as beautiful in the neutral linen fabric! The reviews say that it looks more elegant than it costs and it’s even very durable. One reviewer said that her dogs can sit on it without leaving marks (sounds like it can stand up to my 4 kids). 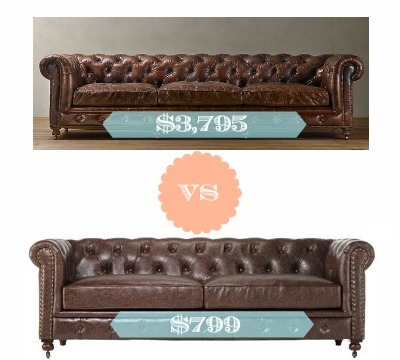 This is the most accurate look alike I’ve found for the Restoration Hardware Kensington Sofa. It’s tufted all around the back and base of the sofa, nail heads line the arms, it has removable seat cushions and it’s on wheels.